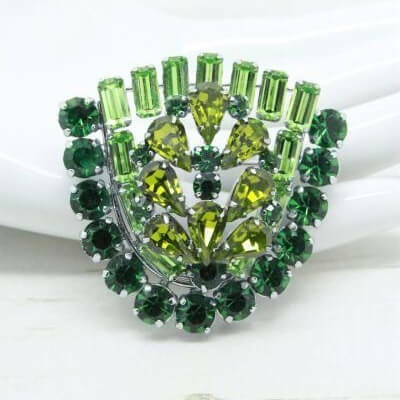 Description: This late 1950s early 1960s vintage brooch features a delightful collection of claw set rhinestones in multi shapes and varying shades of green. 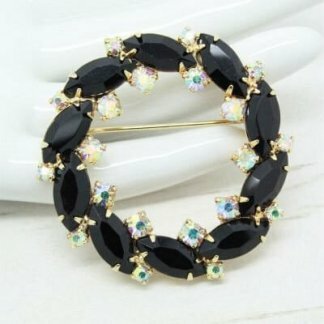 Featuring a slightly layered / domed design this unique brooch would look perfect attached to the lapel of a jacket or pin to the centre of a clutch bag for added sparkle. 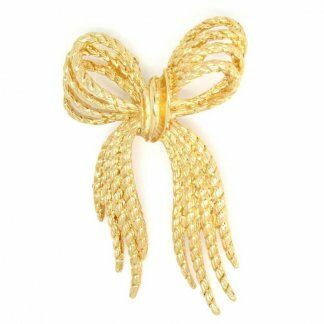 Measuring 4.5cm x 4.5cm, complete with a strong roll lock clasp to the back and a silver plated setting. 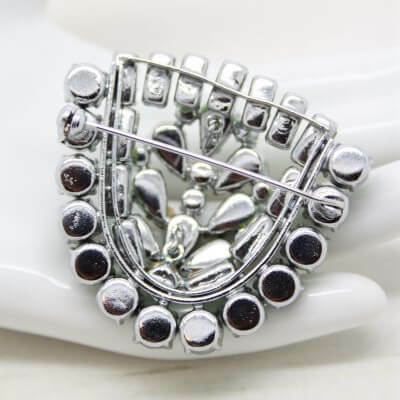 The brooch is in good condition showing slight to no wear, it remains bright and shiny. Slight solder plating marks to the back of the brooch from production. Although unsigned it has clearly been well made and is designer quality. 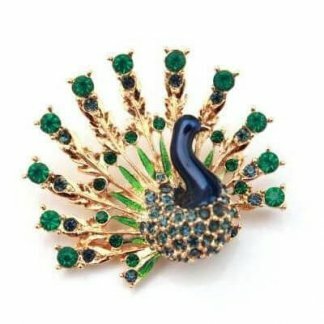 A wonderful addition any jewellery collection.